GNC is recalling more than 750,000 packages of Women's Iron Complete Dietary Supplements. According to the Consumer Product Safety Commission (CPSC), the supplements are being recalled because the packaging they come in are "not child resistant, as required by federal law," causing the risk of poisoning if ingested by a child. 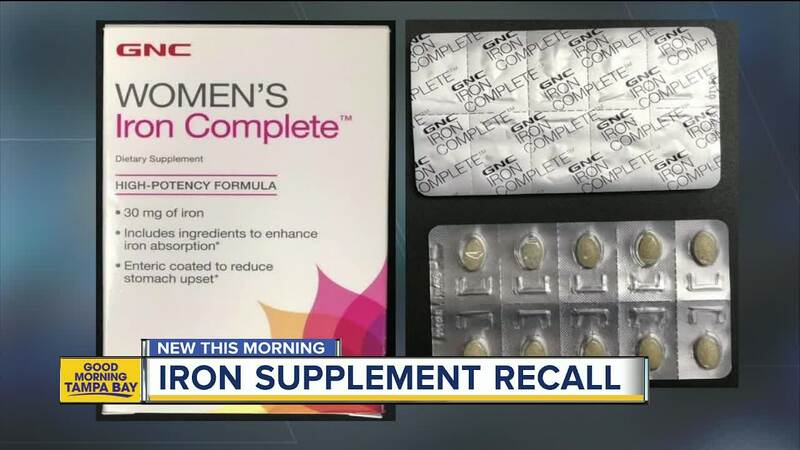 The recall involves Women’s Iron Complete Dietary Supplement 60-count caplets, which come inside a white box with “Women’s Iron Complete” printed in gray and red font on the front of the box. The supplements were sold at GNC retail stores nationwide and online at www.gnc.com from September 2000 through August 2018, and online at www.drugstore.com from September 2000, through August 2016 for about $10. Anyone with these supplements are urged to keep them out of reach of children. For a refund, consumers may return the unused supplements to their local GNC store or call GNC at 888-462-2548.